Canon’s innovative 12-colour pigment inkjet system with image processing technology that delivers a wide colour gamut, smooth graduations, less bronzing and highly scratch-resistant prints. 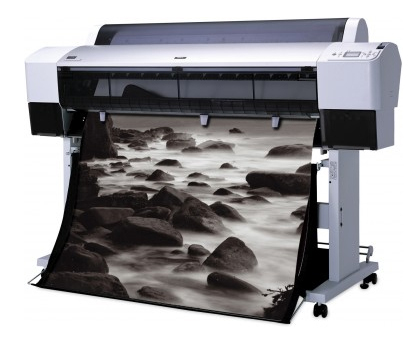 Enhanced black reproduction and graduation expression in dark areas, resulting in the exceptional print quality required for photo print applications. 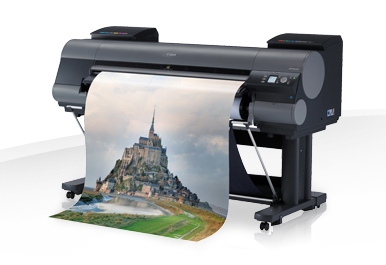 Epson UltraChrome K3™ ink, that can produce archival exhibition quality prints with amazing color fidelity. Prints onto Thick Media, such as our heavyweight museum heritage paper.